Competition amongst professional caterers and event professionals to produce the very best and most stand-out event in the corporate hospitality calendar is fierce. Put simply, you need to differentiate yourself from the crowd. Hiring luxurious crockery, glassware and cutlery is an excellent option, contributing to the overall finish to your event dining occasion. Of course, everything needs to be top-drawer such as the lighting, food, entertainment, venue décor and so on. 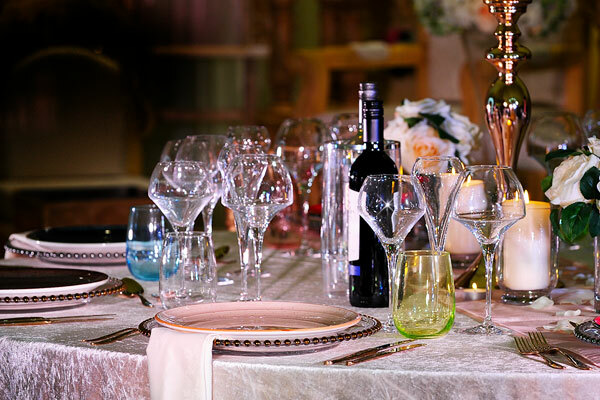 However, being as your guests will spend most of the evening seated at your event tables, these need to be spot on. Event Hire UK is able to provide a stunning range of luxury event equipment including gold cutlery hire, modern open up glassware hire, coloured stoneware plates and many more items to help you create the look you want to achieve. By investing the time and effort, and the attention to detail, you’ll be able to produce magical and wonderful events. Hire everything you need in the quantities you need from the event hire specialists here online at Event Hire UK. Contact us today – one of our expert sales team will be delighted to assist you with your upcoming event requirements.